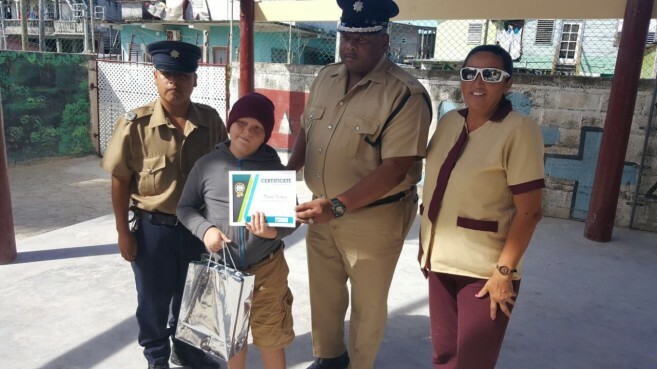 The San Pedro Police Department awarded three island primary school students after excelling in the Gang Resistance Education and Training (GREAT) essay competition on Wednesday, December 13th. 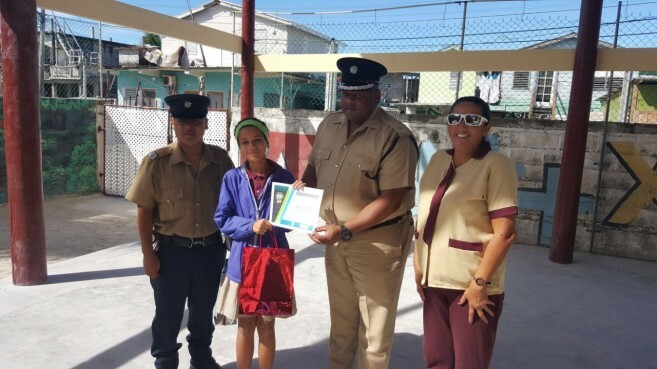 GREAT is a life skill program held by community Policing Officers at various schools on the island. Children are educated on the consequences of gang violence and the benefits of developing positive relationships with law enforcement. Participants also learn how to refuse peer pressure, get help in communicating their issues and find concrete solutions. This year students were challenged through an essay competition to test how much they learned about the program and then the three top entries were awarded. The winners for this year’s competition were Terence Keating from Isla Bonita Elementary in third place, followed by Nia Lysbey from Ambergris Caye Elementary School (ACES) in second place, and taking first place was Annelyse Perdue from Isla Bonita. Spearheading the program in San Pedro is Police Constable Juan Choc who teaches the GREAT program. “The competition mainly included students that had participated in the program,” said Chuc. “The essay competition asked them to write about the GREAT program, and why they chose to take part,” Chuc stated that the competition was tough, and great essays were submitted in the competition. 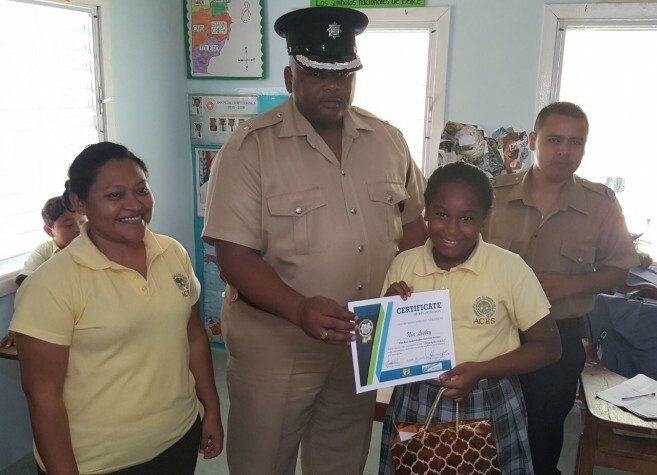 After the winners were selected, Chuc was accompanied by Officer in Charge of the Eastern Executive Coastal Unit, Superintendent Henry Jemmott to hand over the award certificate to the students. They visited both ACES and Isla Bonita Elementary where they had the opportunity to congratulate the students for a job well done. The students happily received their certificates and at the end of the short award ceremony, all participants in this year’s essay competition were commended for their interest and participation in GREAT. They were encouraged to stay focused and expect more positive programs from the Community Policing Department that the San Pedro Police Department offers. The GREAT program began country-wide in 2010, and PC Choc travelled to San Salvador, El Salvador for a two-week training. After he returned to the country, the program was integrated into the school’s curriculum.